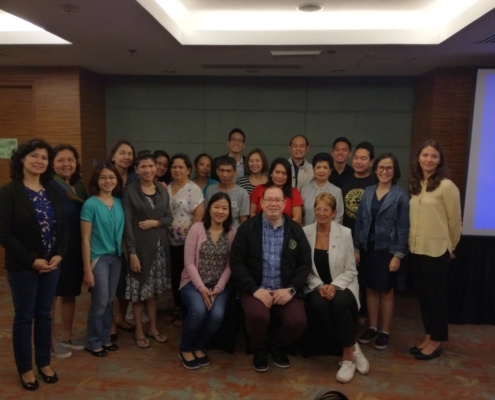 IPOPI had the pleasure to organise a collaborative meeting on September 27, 2018, with PhilPOPI, its member organisation in the Philippines to discuss key strategic priorities for the NMO. The meeting was well attended by 25 participants including patient representatives, primary immunodeficiencies (PID) specialists, IPOPI, and a representative from the Philippine Department of Health, Dr Eric Tayag. The purpose of the meeting was to support the National Member Organisation (NMO) to reach a deeper understanding of the issues affecting PID patients in the Philippines, and to find solutions on how to address these issues. The meeting was opened by Dr Jonie Santos-Ocampo, who was pleased to welcome the participants and give the stage to Dr Eric Tayag, who gave the keynote lecture on “the healthcare structure in the Philippines”. 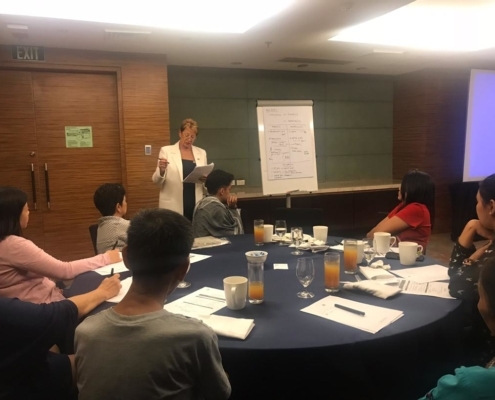 Presentations from IPOPI and MyPOPI (IPOPI’s NMO in Malaysia) on success stories on lobbying and working together followed, as well as testimonies from a doctor, a PID patient and a parent on key issues for the Philippine PID community. The afternoon was dedicated to an interactive workshop where participants were able to brainstorm on the most pressing issues and find practical solutions that fit the NMO and their medical advisers. The NMO expanded their membership during the meeting by inviting the new families in attendance to join their activities.